A small study shows that business managers and staff–such as those running coffee shops and fast-food restaurants–can be trained to reverse opioid overdoses, which are known to occur in public bathrooms. The study was conducted by researchers at the Center for Drug Use and HIV/HCV Research (CDUHR) at New York University and published online in the journal Drug and Alcohol Dependence. "Because opioid overdoses may occur in public bathrooms, business managers and staff unwittingly become first responders. Providing training to service industry employees on how to respond to an overdose and administer naloxone will help us save lives," said lead author Brett Wolfson-Stofko, a research scientist at National Development & Research Institutes (NDRI) and affiliated investigator with CDUHR. 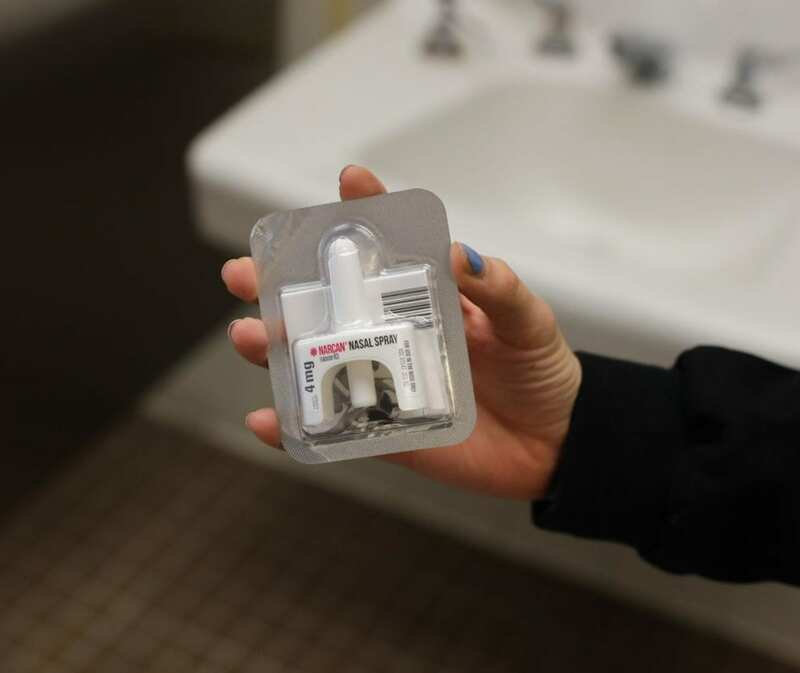 Public bathrooms, such as those in coffee shops, parks, libraries, and restaurants, are among the most common public locations where people inject drugs in New York City, and subsequently have been the site of overdoses and overdose deaths. A previous study by this CDUHR research team found that 58 percent of New York City business managers encountered drug use in their business's bathroom within the past six months, and 14 percent encountered someone who was unresponsive, presumably due to drug use. However, when faced with someone who has overdosed in a business's bathroom, research shows that employees are unsure how to respond. Calling 911 for a medical emergency can elicit a quick response–roughly seven minutes in New York City–but brain damage can occur in as little as three minutes after someone stops breathing. This time frame is pertinent because employees are often unaware of how long the person has been unresponsive and the increasing presence of fentanyl, a fast-acting opioid that has become more prevalent in street heroin, has made quicker response times even more essential to survival. In response to this need for training service industry employees about drug use and overdoses, CDUHR researchers created, implemented, and evaluated a three-part intervention for business employees, including a component on how to respond to an overdose and administer naloxone. Naloxone–commonly known by its brand name, Narcan–is a life-saving medication used to rapidly reverse opioid overdoses and is typically administered as a nasal spray. In this study, 18 employees working at New York City coffee shops participated in a 90-minute training, 20 minutes of which focused on overdose response and naloxone administration. Through a presentation and interactive exercises, the participants learned about common opioids, signs of an overdose, communicating with emergency services, and how to administer intranasal naloxone. They also learned about New York's naloxone access and Good Samaritan laws, which permit people without medical training to obtain naloxone and administer it to someone in need, protecting them from criminal and civil liability. The researchers collected quantitative and qualitative data from the participants, including a pre- and post-test to evaluate the success of the training intervention based on changes in opioid overdose-related knowledge and attitudes. Focus groups were used to further understand participants' perspectives on the intervention and potential changes in attitudes towards responding to an opioid overdose in real life. Following the training, participants had significantly more knowledge about opioid overdoses, as well as more positive attitudes about their competence and readiness to intervene in the event of an overdose. One participant reported "feeling confident and equipped to be an agent in saving someone's life" and another said addressing an overdose "seems a lot less scary now." Many employees believed that it would be beneficial for staff to be trained as part of company policy–similar to how employees are trained on food safety. Based on the success of the training, the researchers plan to expand the intervention to a broader set of businesses, including fast-food restaurants and laundromats, as well as businesses in suburban and rural communities. The authors have also made the overdose response and naloxone administration training component available (in the article's online Supplementary Materials) so that other researchers, health departments, and harm reduction agencies can implement this program nationwide. "We need both businesses and organizations providing naloxone training to be proactive. I would encourage businesses interested in overdose response and naloxone administration training to contact either their local health department or local harm reduction agency," said Wolfson-Stofko. The researchers are continuing to study their three-part intervention, including evaluating the two other components on needle stick prevention and de-escalation strategies for encountering drug use in public bathrooms. In addition to Wolfson-Stofko, study authors include Marya V. Gwadz of CDUHR and NYU Silver School of Social Work, Luther Elliott and Alex S. Bennett of CDUHR and NDRI, and Ric Curtis of CDUHR and John Jay College of Criminal Justice. The research was funded by the National Institutes of Health (T32DA007233, P30DA011041, F7610-11, R01DA03675402). The mission of the Center for Drug Use and HIV/HCV Research (CDUHR) is to end the HIV and HCV epidemics in drug using populations and their communities by conducting transdisciplinary research and disseminating its findings to inform programmatic, policy, and grass roots initiatives at the local, state, national and global levels. CDUHR is a Core Center of Excellence funded by the National Institute on Drug Abuse (Grant #P30 DA011041). It is the first center for the socio-behavioral study of substance use and HIV in the United States and is located at the New York University Rory Meyers College of Nursing. For more information, visit http://www.cduhr.org. National Development and Research Institutes, Inc. (NDRI) is a non-profit research and educational organization dedicated to advancing scientific knowledge in the areas of drug and alcohol use, treatment and recovery; HIV, AIDS and HCV; therapeutic communities; youth at risk; and related areas of public health, mental health, criminal justice, urban problems, prevention and epidemiology. For more information, visit http://www.ndri.org.